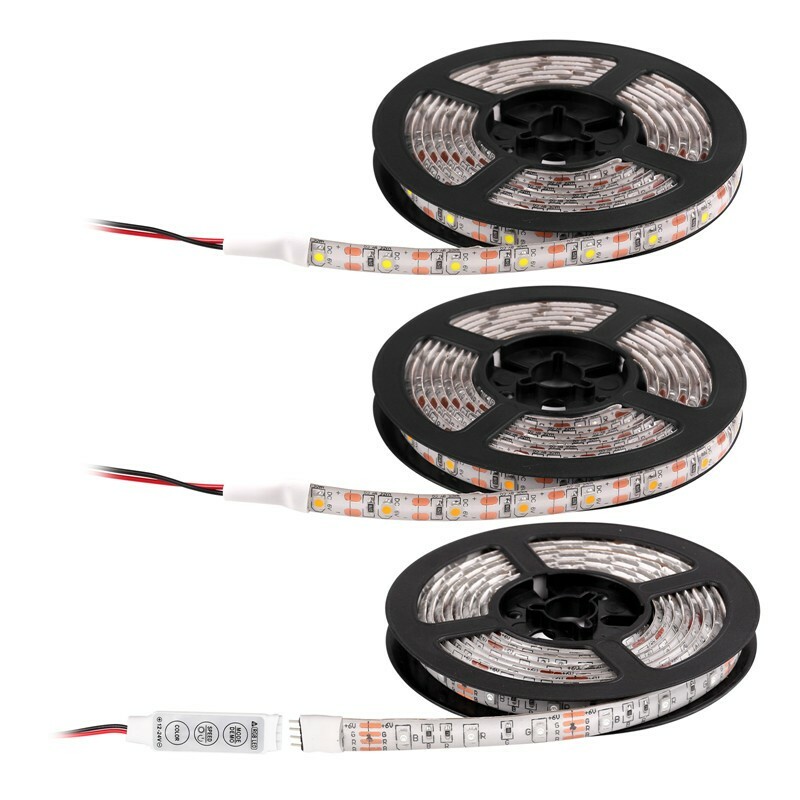 Based on high quality SMD3528LEDs, ultra bright, Luminous Flux. 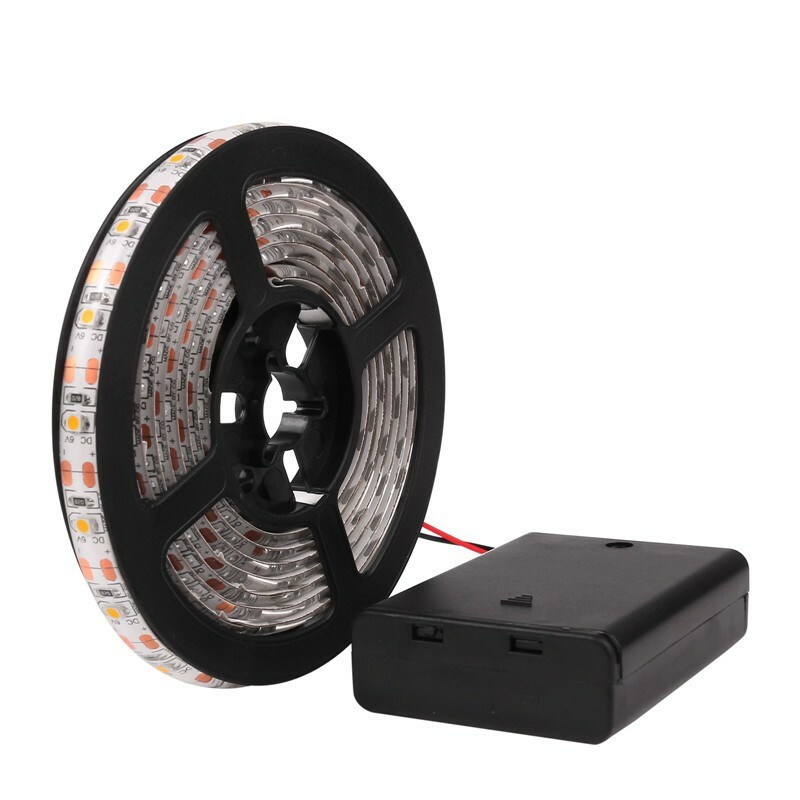 up to 100LM/W. 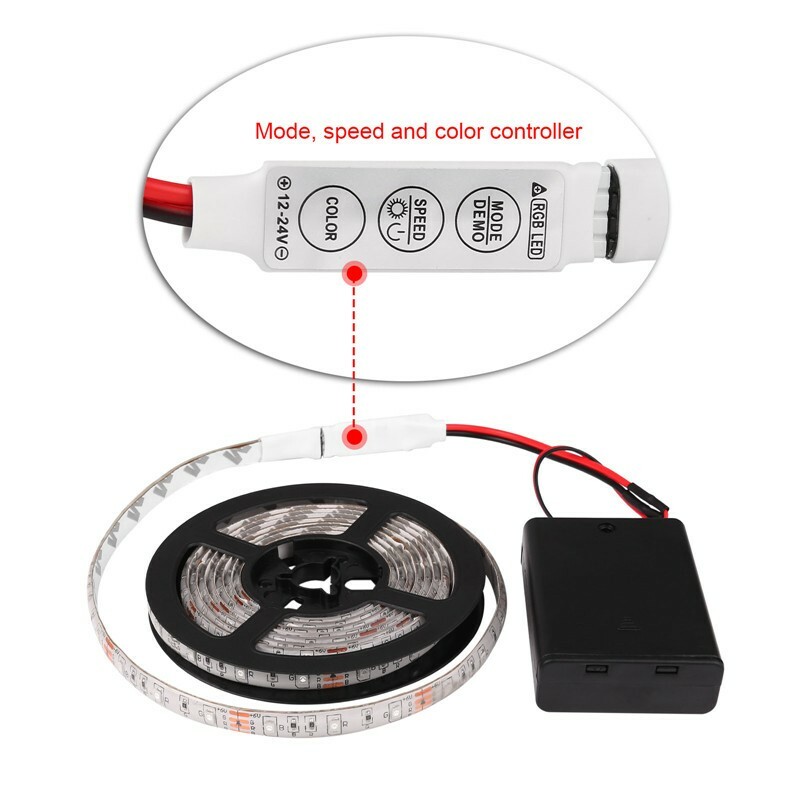 Come with a control box, powered by 3 AA battery (not included), no need to use AC power supply, very convenient to use. 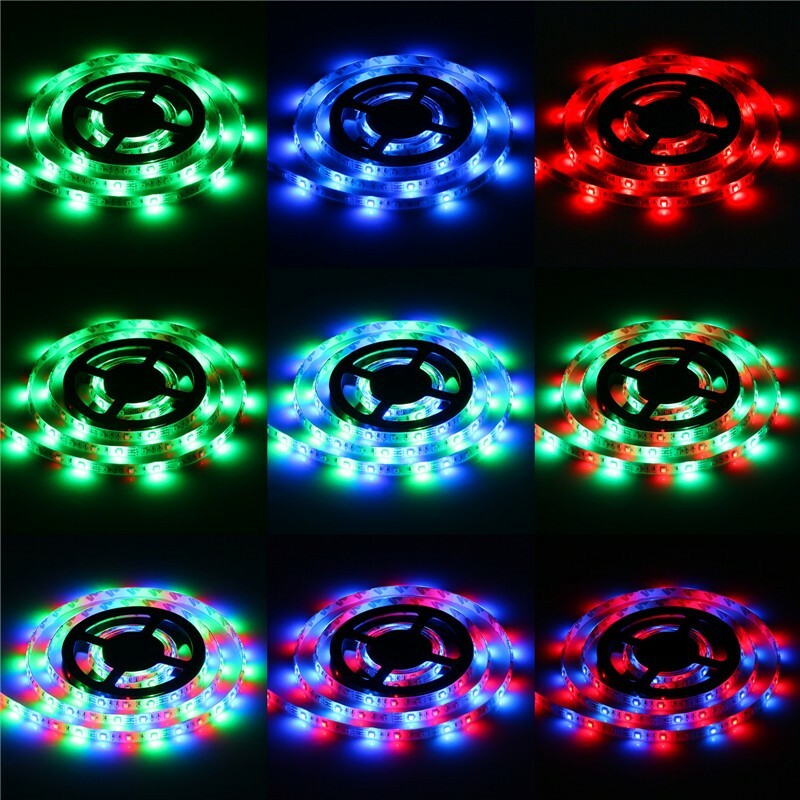 Widely used for home decoration use, hotels, clubs, shopping malls, architectural decorative lighting, boutique atmosphere lighting. 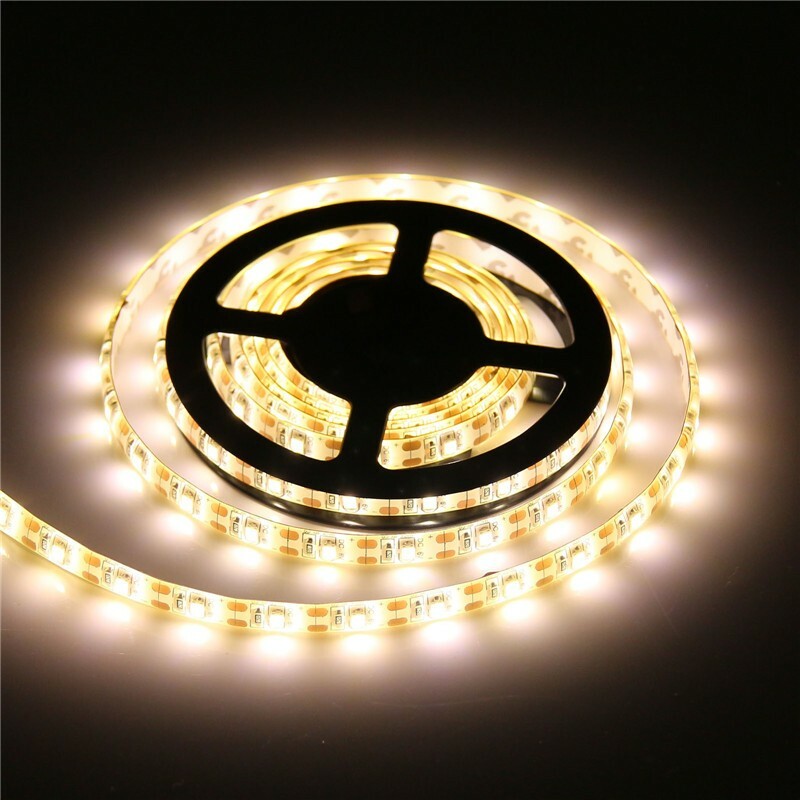 Extensively applied in Back-lighting, concealed lighting, advertisement sign lighting, decorative lights for holiday, event, show exhibition. Applicable for automobile and bicycle decoration, border or contour. Note: The mode, speed and brightness adjustment is just available for RGB color strip, Cool/Warm color strip just has ON/OFF control.